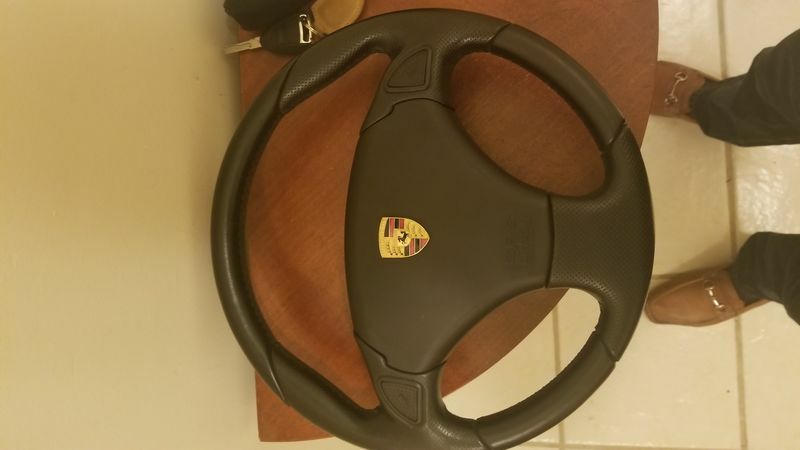 For sale is a used Atiwe 3 spoke steering wheel for pre-997 911s and boxsters. 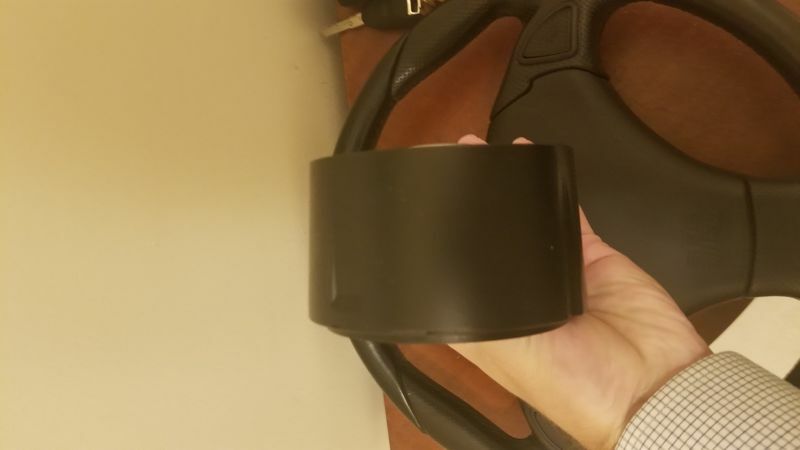 It comes with the hub (which spaces the wheel about 2.5" inches closer to you), the wheel itself and the airbag. Leather is in good shape with some minor wear from use. No cuts, tears, or major scratches. 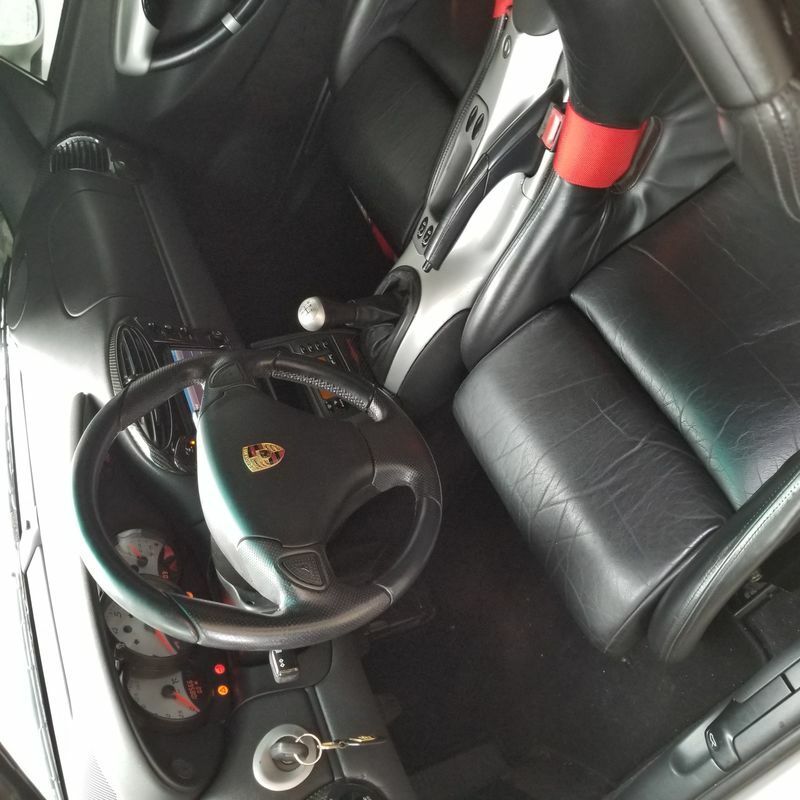 OEM 356 porsche crest has been attached to airbag (this is the vinyl airbag, no leather). Horn buttons function. 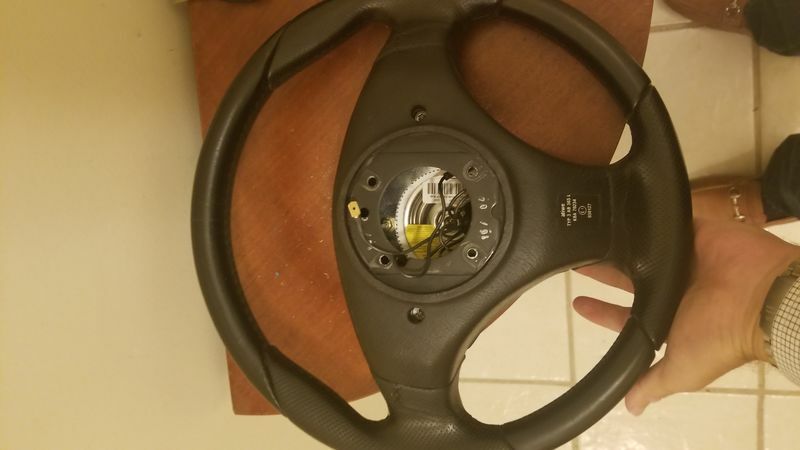 Great wheel, but went to a momo so don't need it anymore. $550 plus shipping for the whole lot. Do you have pics of it installed in your 986? Does this have an airbag?